The Lattice lace tailored valance measures 50 inches wide and comes in both white and ivory options. This 14-inch long white Lattice lace valance is made from fine-gauge crush lace and is embellished with a delicate trellis design of foliage and dainty flowers. It is made from 100 percent polyester which can be machine washed. This valance is imported from Europe and features a 1 ½-inch rod pocket for use with a decorative rod. Lace Panels are not included. 1 1/2" rod pocket and header. Use a decorative rod for hanging. Create a soft, ethereal look with these lattice lace ascot valances. Each one features a beautiful trellis design of foliage and flowers made with a fine-gauge crush lace. These valances have a 1 ½-inch rod pocket and one tassel at the center point. One 50-inch wide by 21-inch long valance is sold per package. Choose from white or ivory lace. Shortest measurement using first row of rings is 59", including scalloped bottom edge. The Vanessa lace balloon shade features fine-gauge jacquard polyester lace with a classic floral medallion motif and scalloped edge. This shade comes in white or ivory tones and has five adjustable rings and a 1 ½-inch rod pocket for easy hanging and customization. The 56-inch wide shade can be adjusted from 59 to 84 inches in length. This imported shade is machine-washable (warm water, tumble-dry on low). Includes 5 split rings and easy instructions for adjusting to desired length. Machine was warm water, tumble on low heat or drip dry, little or no ironing needed. Do not bleach. 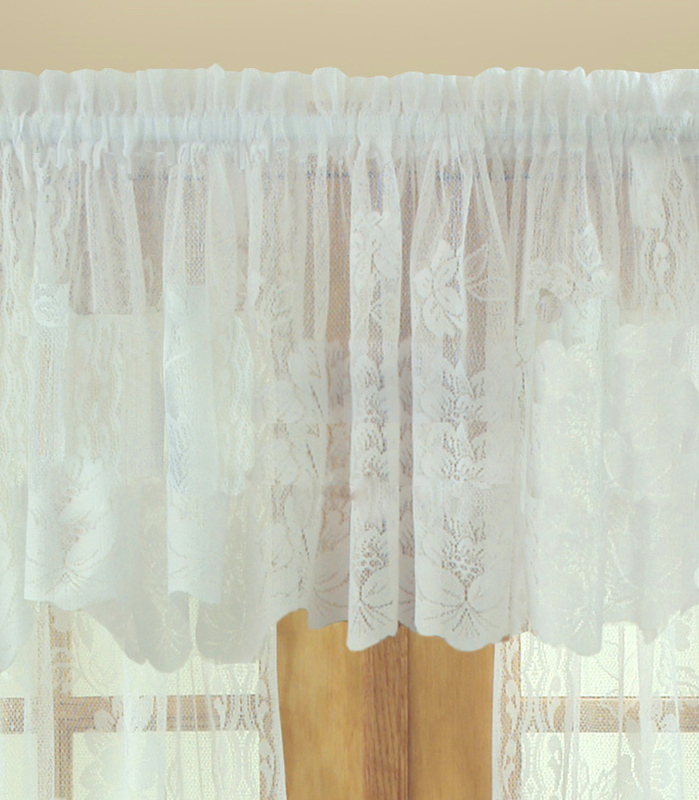 The Vanessa lace tailored valance creates a soft, romantic look in any room of your home. Measuring 56 inches wide by 18 inches long, this imported valance features a delicate fine-gauge jacquard polyester material and is machine washable. It comes in white or ivory and includes a 1 ½-inch rod pocket. A white or clear rod is recommended for hanging, though a smaller-diameter decorative rod may also be used. White or clear rod is recommended for hanging. A smaller diameter decorative rod may also be used. Our two-piece Vanessa Lace swag valances are crafted of a fine-gauge jacquard lace in an easy-care fabric that's machine washable. Choose this elegant lace swag in white or ivory from The Curtain Shop. The 72-inch width and 38-inch length at the sides will fit a standard single window. To add more fullness, or for wider windows, insert a matching Vanessa M-shape valance at the center split. The rod pocket is 1.5-inches. We recommend the use of a 1-inch standard curtain rod or decorative rod with a smaller diameter. 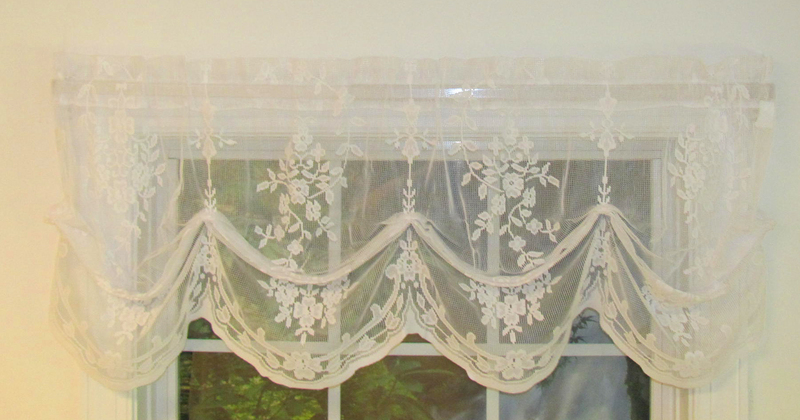 Create a pretty focal point in any room with a Vanessa lace M valance from The Curtain Shop. These lovely fine-gauge jacquard window valances with a curvy M-shape border are 56 inches wide and 24 inches long. The size will fit a standard window. For wider windows, choose two lace window toppers. These window toppers are available in white or ivory. The curtain rod pocket is 1.5 inches on this machine washable valance. We also carry Vanessa two-piece swags. The selvedge sides and tucks create a layered scalloped effect on this lovely Queen Ann Leanne Lace window valance from The Curtain Shop. Available in sheer ivory, the Queen Ann Valance is machine washable using cold water settings. 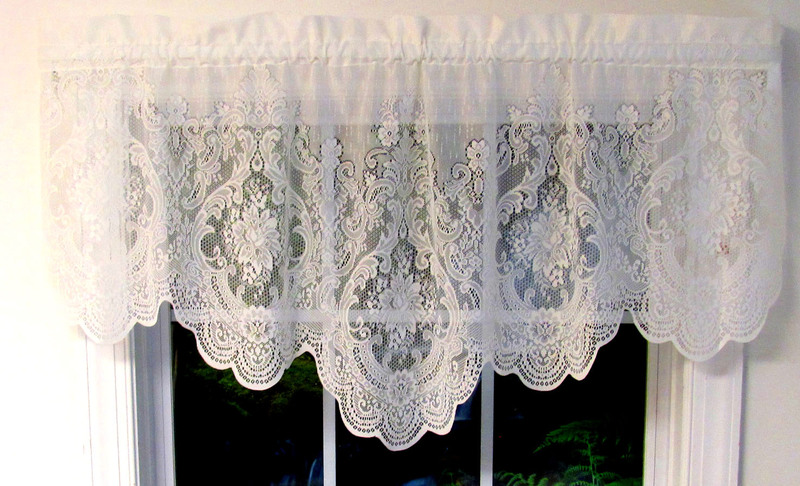 This lace valance is 60 inches wide and 12 inches in length, which fits a standard single window. Order two valances for wider windows. 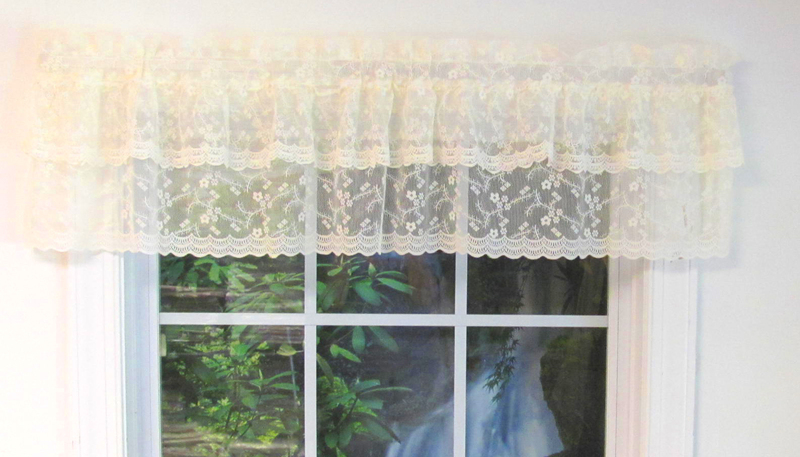 This Leanne Lace valance has a half-inch header, which allows delicate ruffling at the top, and a 1 1/2-inch curtain rod pocket. 1 1/2" rod pocket, 1 1/4" header. This Leeanne lace swag pair measures 80 inches wide by 36 inches long, with a length of 16 inches in the center. A pictured valance, which can be used for wider windows, is sold separately. 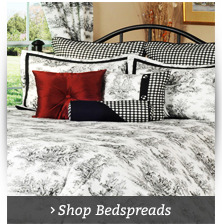 The intricately designed lace is made from 100 percent polyester and is machine washable. These swags are imported from Columbia and feature a convenient 1 ½-inch rod pocket and 1 ¼-inch header. 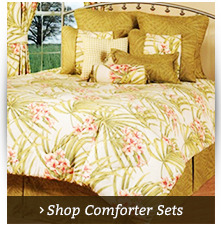 You'll find Leeanne curtains in both white and ivory options. If you're looking to add an elegant touch to your space, choose this Leeanne lace tailored valance. It comes in white and features a delicate lace design. 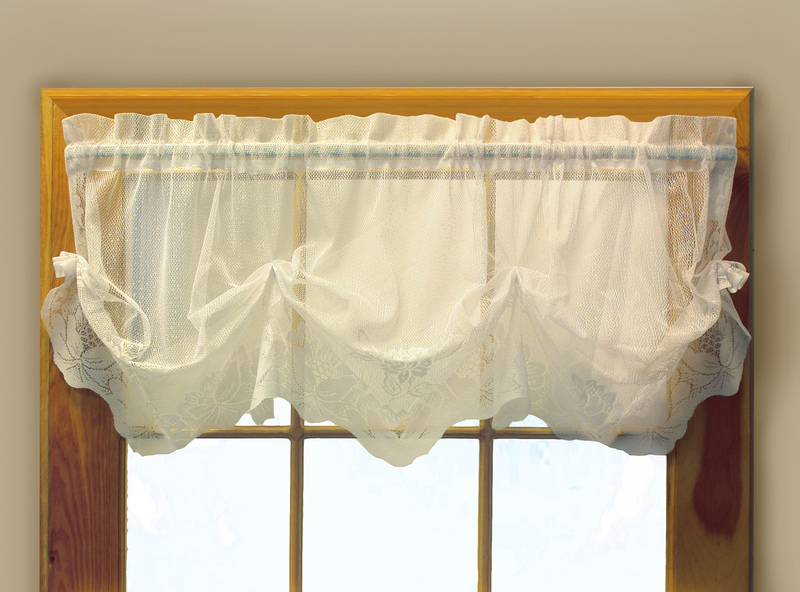 Made from 100 percent polyester, this lace valance is machine washable for easy care and cleaning. It is imported from Columbia and features a 1 ½-inch rod pocket and 1 ¼-header. The Leeanne lace valance measures 60 inches wide by 16 inches long. 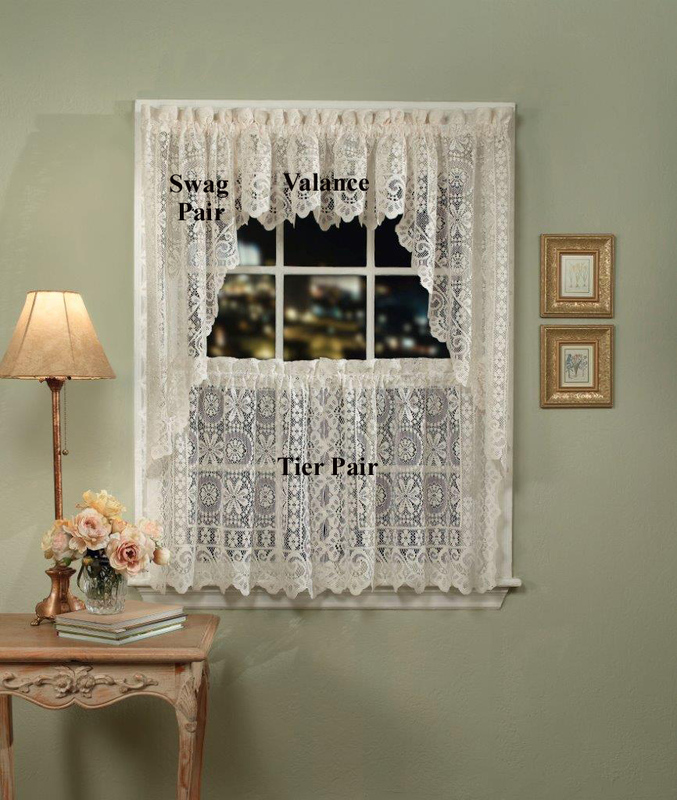 Our Hopewell Lace scalloped swag valances from The Curtain Shop are heavy weight jacquard lace window toppers crafted of lofted yarns for a luxuriously soft look and feel. These swags are beautifully scalloped on the side and bottom edges. Hopewell Lace swags are available in cream or white. 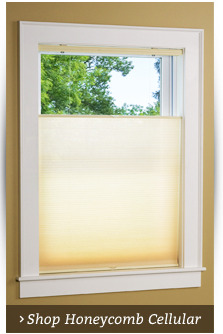 The 58-inch width and 38-inch length will accommodate a single standard window size. 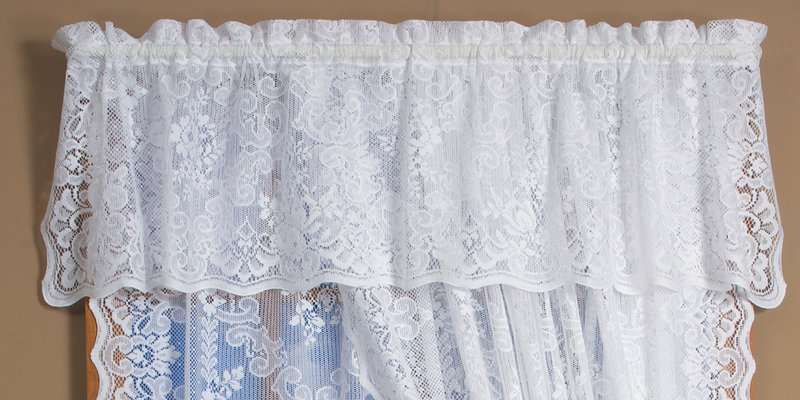 Unlike Old World lace curtains, our swags are machine washable using a gentle cycle. Also shop our matching tier curtains. Inspired by traditional Irish Point design, this lovely lace valance features a leafy, floral design. The fine-gauge jacquard lace adds a soft touch to any space. Measuring 60 inches wide by 15 inches long, this imported Irish Point lace valance comes in either white or ivory to suit your home's décor. A 1 ½-inch header and 1 ½-inch rod pocket are included. This product is best paired with a white, clear or decorative rod that is 1 inch in diameter. 1 1/2" rod pocket and header. Our Irish Point Crescent lace valance is a fine-gauge jacquard lace window topper inspired by a traditional Irish Point design. 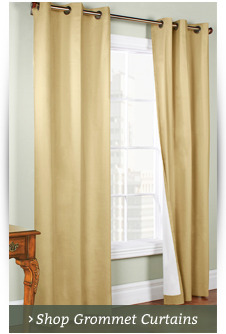 Hang this valance alone or atop our tailored Irish Point curtains pairs from The Curtain Shop. The Irish Point window valance is 60 inches wide. The length ranges from 15 inches at the center to 24 inches at the sides. Choose your Crescent lace valance in white or ivory. 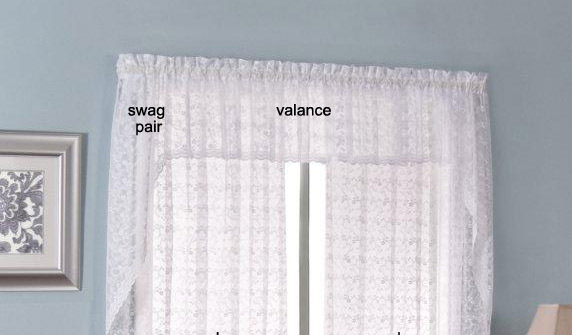 The valance has a 1 1/2-inch curtain pocket and header. 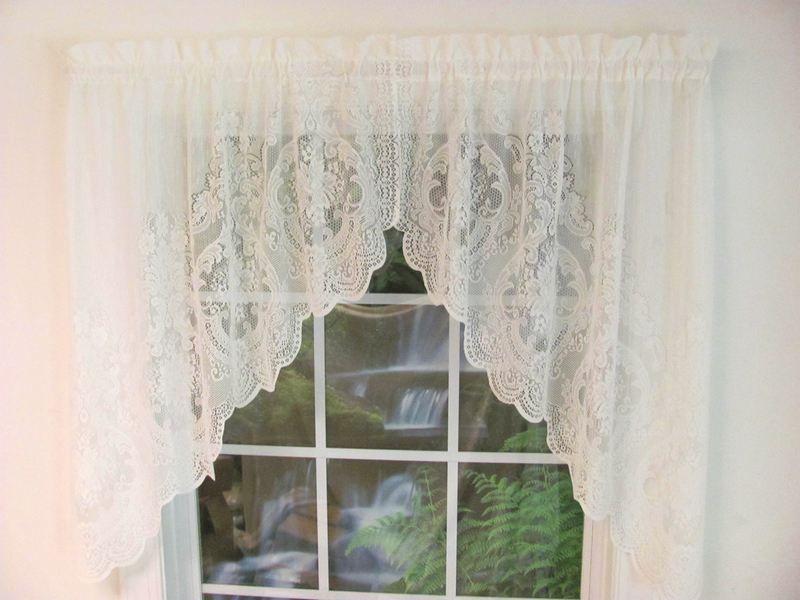 These lace valances can be machine washed using gentle cycles. 1 1/2" rod pocket and header. The Irish Point Crescent Valance is a one piece window topper. Made of 100% Polyester. Machine wash gentle cycle. Our Fiona Lace swag valances at The Curtain Shop are imported window treatments inspired by traditional Scottish lace designs and crafted on looms in a fine gauge jacquard. Choose this elegant window swag in white or ivory. The 90-inch width and 1 1/2-inch header allow soft gathering above and below the 1 1/2-inch curtain rod pocket. The length is 38 inches at the sides. 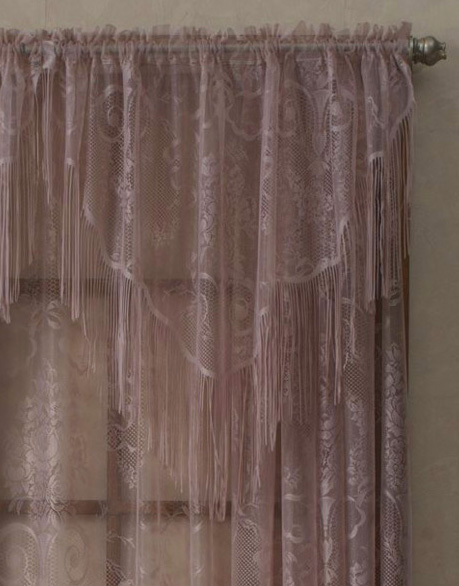 Also shop our collection of Fiona Lace rod pocket curtain panels and balloon shades. 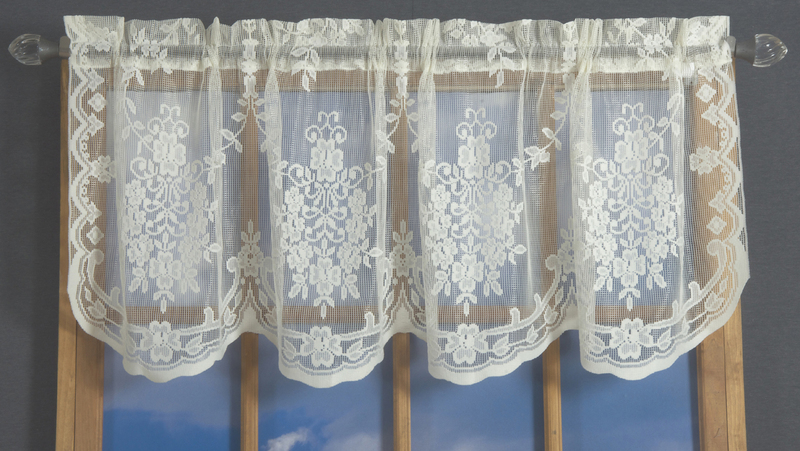 Get these beautiful Fiona lace curtains in white or ivory. Each of these Scottish lace balloon shades is made on fine-gauge Jacquard looms and imported by D. Kwitman. The 60-inch wide shade can be adjusted in lengths from 33 to 55 inches. Five split rings and a 1 ½-inch rod pocket are included for easy installation and customization. Machine-washable. Washable. Imported by D. Kwitman. Dimensions: 60"W x 63"L. Adjusts to any length from 33" to 55". 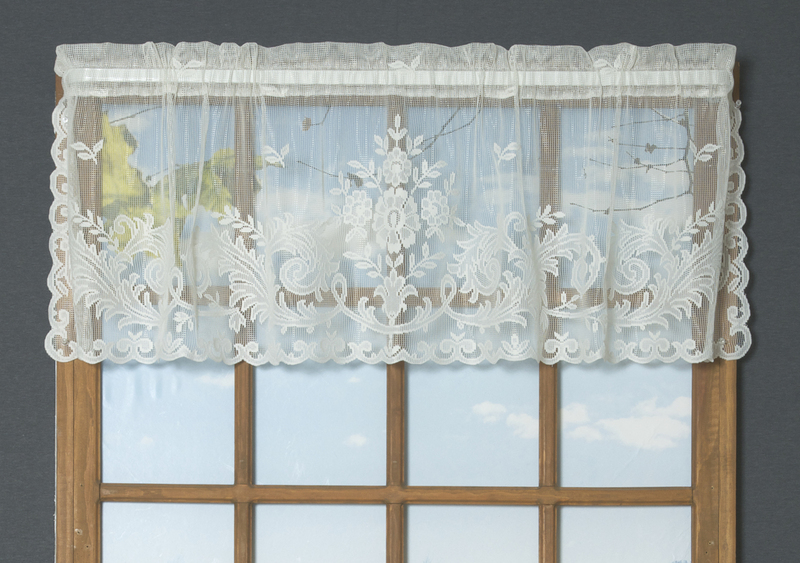 Two lovely colors, white and ivory, are available for this soft and delicate Fiona lace balloon valance. Measuring 60 inches wide by 18 inches long, this valance has a lovely scooped style that adds shape and movement. Made from 100 percent polyester, it's machine-washable for easy care. The 1 ½-inch rod pocket also makes it easy to install in just minutes. 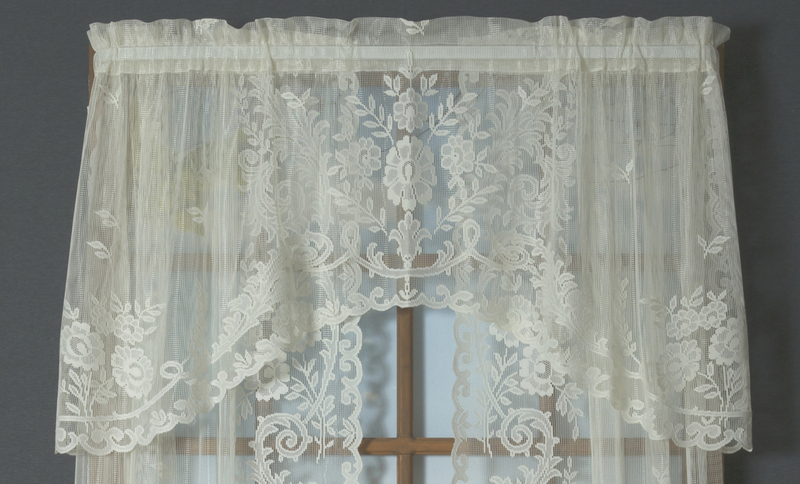 These Abbey Rose lace curtains add a delicate, soft touch to any space. The tailored swag measures 55 inches wide by 38 inches long and comes in white or ivory. A 1 ½-inch rod pocket and header are included for easy installation. Imported Abbey Rose swags feature 18-gauge floral crushed lace made from 100 percent polyester. Machine wash warm on gentle and line dry. A warm iron can be used to adjust the texture level to your preference. Care instructions: Machine wash warm water, gentle cycle. Line dry. Do not bleach. Warm iron as needed. For a simple yet elegant look, choose this American Balmore valance, which measures 60 inches wide by 18 inches long. Made in the U.S. with a blend of 70 percent cotton and 30 percent polyester, this valance features a 1 ½-inch rod pocket and scalloping along the bottom edge. The soft, delicate material is inspired by turn-of-the-century Scottish lace. The jacquard design features a pattern of flowers and ribbons. This valance comes in white and beige to suit your home's décor. Tailored Valance is 60"W x 18"L with a 1 1/2" rod pocket and lovely scalloped bottom edge. This beautiful American Balmore tailored lace swag features a timeless design and a soft look and feel that can be attributed to its lace construction. It's made in the U.S. with a perfect blend of 70 percent cotton and 30 percent polyester. Inspired by turn-of-the-century Scottish lace, its rich jacquard design features a pattern of flowers and ribbons. This American Balmore one-piece swag also features understated scallops on its sides and bottom edges. Choose between a white or beige color for this swag, which measures 60 inches wide by 27 inches long. 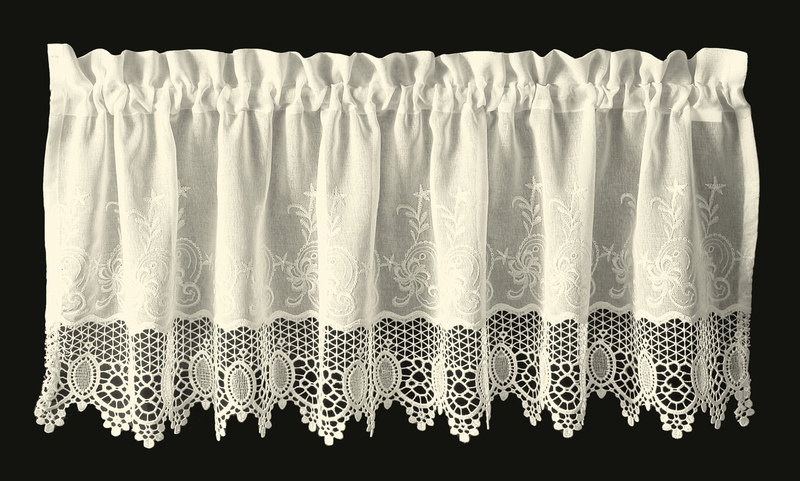 The Priscilla tailored lace valance comes in white or ivory and measures 60 inches wide by 12 inches long. This unique valance features layered ruffles for a bouffant style. It can be combined with the layered ruffled lace panels, which are sold separately. Because it's made of 100 percent polyester, this imported valance may be easily machine washed warm on gentle (do not bleach). Line dry and touch up with a warm iron as needed. Machine wash warm water on gentle cycle. Do not bleach. Line dry. Warm iron touch up as needed. This imported Priscilla bridal lace swag pair features a delicate floral design with embellished scalloped edges along the bottom. It measures 60 inches wide by 38 inches long, though a matching valance to accommodate wider windows may be purchased separately. Choose from white or ivory when ordering this 100 percent polyester swag set. Machine wash warm on gentle (do not bleach) and line dry. Touch up with a warm iron as needed. Dimensions: 60"W x 38"L on sides. 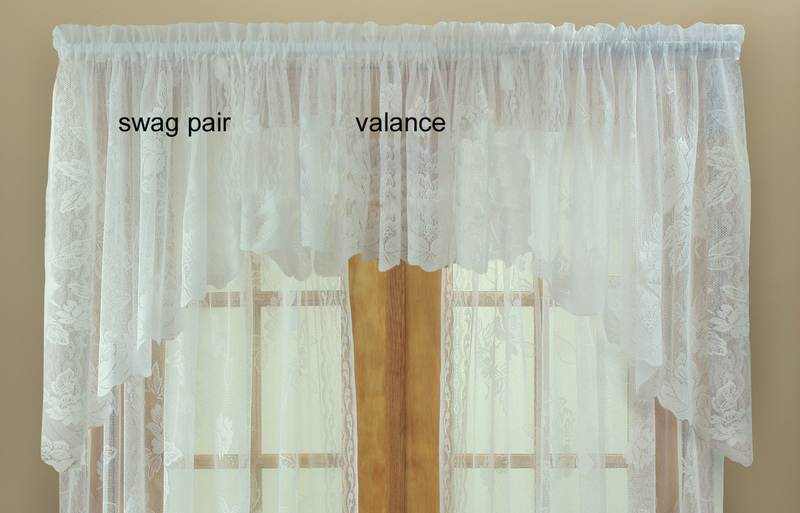 Note, photo illustrates a pair of swags with valance between the two pieces. Valance is sold separately. Select colors in White or Ivory. Choose from white or ivory tones when you order the Priscilla bridal lace tailored valance. It features a delicate floral scrolled bridal lace with a beautifully embellished scalloped bottom edge. Measuring 60 inches wide by 12 inches long, this valance includes a 1 ½-inch rod pocket and header. It's made from 100 percent polyester and can be machine washed warm on gentle (do not bleach), line dried and warm ironed as needed. L Lacy, light, and airy. Annamaria is a very pretty faux linen sheer window topper adorned with macrame lace and embroidery. 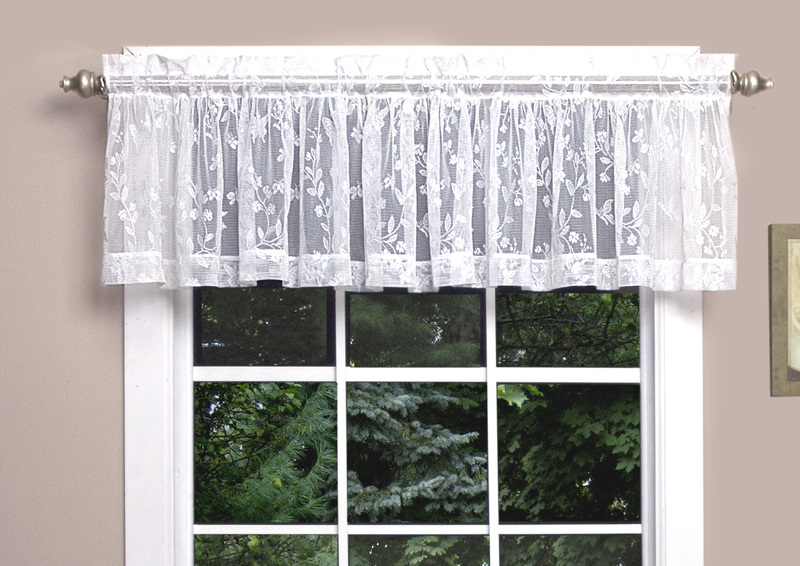 The Tailored Valance features 1 1/2" rod pocket, 1 1/2" header, 1/2" side hems, and 6" Macrame bottom. Matching sheer window curtain panels are also offered. Made of 100% Polyester and washable. < Choose White or Mushroom. The Contessa lace ascot valance is made with a delicate, fine-gauge Jacquard lace that softly diffuses light. The valance, which measures 56 inches wide by 18 inches long, includes a 1 ½-inch rod pocket and looks best with a 1.5:1 ratio of fullness. These imported lace ascot valances come in five soft and elegant tones: white, ivory, gold, rose and taupe. Choose from white or ivory when you order the airy Fiona flat valance. Featuring a Scottish lace-inspired design, this valance is made on fine-gauge jacquard looms with 100 percent polyester. It's easily machine washable as long as you tumble dry on low or drip dry and use no bleach. Little or no ironing is required. 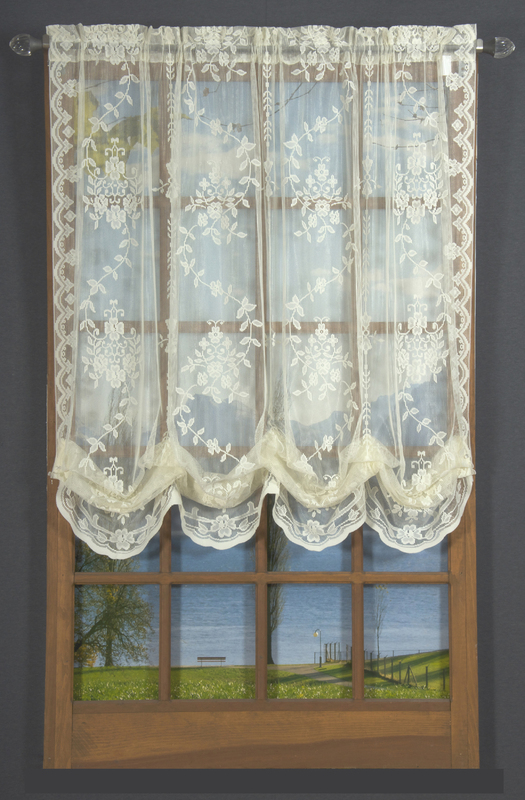 The Fiona lace valance features a 1 ½-inch rod pocket and measures 60 inches wide by 18 inches long. Brittany is reminiscent of the heavy weight old time Scottish laces. This lace has a beautifully soft texture to it. The allover medallion pattern flowing to the elegant scalloped bottom. The Valance measures 50 inches wide by 16 inches long, and also has a 2 inch rod pocket and 1 1/2 inch header with engineered scalloped bottom to match the curtains. 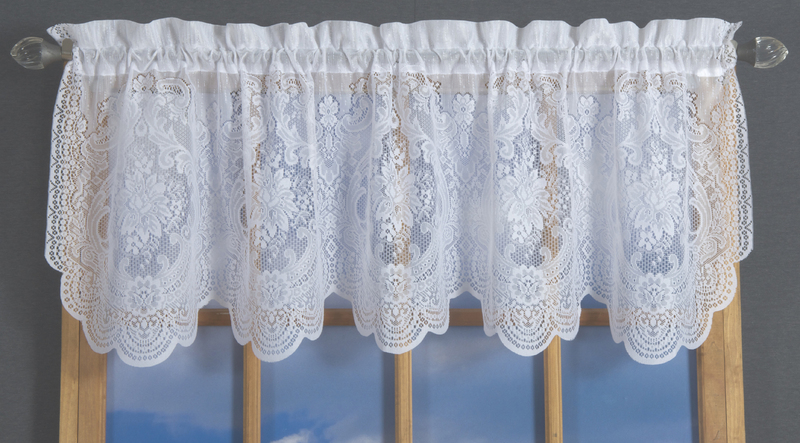 The Brittany Lace Valance is made of 100% Polyester, making it easy care and washable. Comes in White only. Is there anything more classic and elegant than lace? Lace valances are the picture-perfect solution or adding elegance and charm to your home décor, whether it be French country, Victorian, Tudor-inspired or simply traditional. The Curtain Shop is the best place to purchase the right lace valance for your particular design vision, as we offer the world's best selection of lace curtains made by the industry's finest designers. You'll find styles made with detailed, easy-care lace that can be machine washed. You'll love the soft, romantic look of lace valances made with fine-gauge jacquard polyester and finished with exquisite lace detailing. Explore our selection for decadent lace swags, tailored lace valances, lace M-shaped valances, lace balloon shades and so much more. We have lace valances for windows of all shapes and sizes and are happy to assist you with custom orders and specialty valances for challenging windows. Many of the options shown here can be ordered in multiple sizes for quick, simple ordering.